Surrounded by Santa Rosa Sound, Choctawhatchee Bay and the Gulf of Mexico is breathtaking for visitors of Okaloosa Island. This barrier island between Ft. Walton Beach and Destin is famous for pristine beaches, water sports and awesome family attractions. Come play beach volleyball on sand so clean it squeaks underfoot. Laugh with the sea lions at the world’s oldest, continuously operating live marine show. Land a big one from the 1,261-foot-long fishing pier. Find out for yourself why families return here year after year, generation after generation, to build memories in the sand. 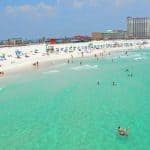 Read our Okaloosa Island Travel Guide, and find all information righ here to plan you vacation now. Visit the area beaches on Okaloosa Island and along the Emerald Coast. There are two airports close to Okaloosa Island, Florida. Destin Fort Walton Beach Airport is going to be the closest to Okaloosa Island, and is only 8 miles away. Or you can fly into Pensacola International Airport, which is about 44 miles away. To create a fair watch, go to AirFareWatchDog which will alert you when the flights are going down in price. Also check my airfare tips on how to make sure you are getting the lowest fare. For finding the lowest fare, go to CheapFlights. I find them to be the best for flight comparison, and getting the best deal if you are ready to purchase. Once you have your airfare, make sure you reserve your airport parking ahead of time. You can Save On Airport Parking and not have the last minute hassle (been there) of trying to get parking reserved. On your next sojourn in the Sunshine State, book a car rental in Fort Walton Beach, which is the closest car rental location for Okaloosa Island. 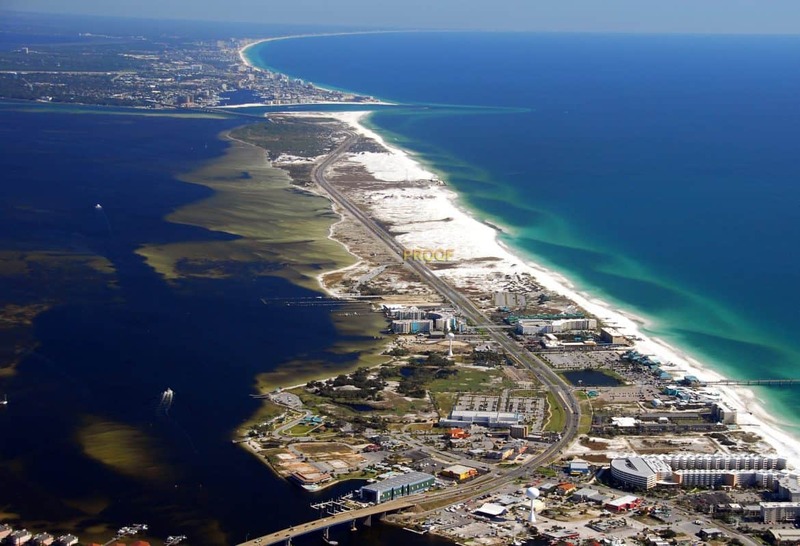 Okaloosa Island is a beautiful beach community with access to the warm waters of the Gulf of Mexico. Before you start dreaming about buried treasure, rent a car in Fort Walton Beach, FL. Choose from a massive selection of vehicles and make your reservation using our cheap deals and discounts right here on CarRentals.com. Delicious seafood, burgers, steaks, and various entrees and appetizers with a beachfront view overlooking the gulf of Mexico! They range from fresh shucked oysters from Apalachicola, fresh caught grouper and mahi- mahi, to well prepared rib eyes and mouth-watering steak filets. Their beach baskets have big portions that are suitable for a king! While you’re there try their signature beach freeze frozen drink (strawberry daiquiri, pina colada, blue raspberry – all mixed into one drink!) maybe a margarita or a delicious Bloody Mary. They have quite the assortment of beers on tap ranging from your regular domestics to their local brews. For more information call 850-796-0260 or visit Angler’s Beach Side Grill. The Crab Trap is the perfect place to begin or end your day at the beach. 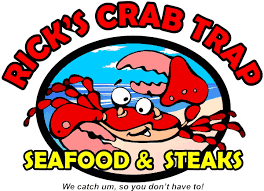 Serving local favorites such as Hot Crab Dip, Seafood Gumbo, and daily specials ranging from Grilled Sirloin to Alaskan Crab Legs, The Crab Trap has something for everyone. The kids will love the special menu designed just for them. 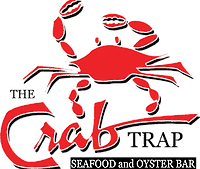 For more information call 850-301-0959 or visit The Crab Trap. They offer their patrons a variety of experiences – a restaurant, a wine bar, beach dining, a summer-time Tiki Beach Bar, deep water and beach docking plus live music on Thursdays and special events. For more information call 850-664-0035 or visit Giovanni’s One89. 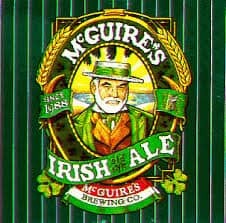 McGuire’s Irish Pub first opened in 1977 as a small neighborhood pub in a shopping center. In 1982 McGuire’s moved to its current location; Pensacola’s original 1927 Old Firehouse. Inside the pub you’ll find a turn-of-the-century, New York Irish Saloon themed 615-seat restaurant. For more information call 850-650-0000 or visit McGuire’s Irish Pub. The healthy alternative, Soi Bistro features an inventive and traditional mix of sushi paired with the largest selection of sake. Prepared with the freshest ingredients, they offer a dining experience full of creative flavors, combined with a casual relaxed atmosphere. Indulge in our signature rolls or Asian inspired dishes. For more information call 850-586-7645 or visit Soi Bistro. Fresh-baked goods, yummy breakfast (their maple bacon makes life better; trust us) and mouth-watering deli sandwiches! Go and try Marc’s famous scratch-made bagels–or even better, get a B.O.B. (Breakfast on a Bagel). A selection of fresh gourmet coffee; beans roasted in-house! For more information call 850-586-7211 or visit them on Facebook. Take a drive to Destin and head to the wonderful Marina Café. 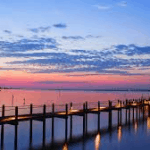 At Destin’s most awarded restaurant, Marina Café, it is all about sensational food, attentive service and breathtaking harbor views from the candlelit dining room that envelopes you in soft colors, and high ceilings. Relax and enjoy their extensive wine collection with over 100 wines that perfectly complement the wonderfully progressive cuisine. With fresh daily seafood selections, USDA prime steaks, pastas, sushi and wood-fired pizzas, there is something for everyone at Marina Café. For more information call 850-837-7960 or visit at the Marina Café. Another great Destin restaurant. In 1984, Louisiana Lagniappe in Destin was opened and established inside Sandpiper Cove condominiums. A loyal following was quickly established, in no small part, to the quality of the food and the attention to detail of the service. Since then, Louisiana Lagniappe has consistently served only the freshest seafood and steaks. The Gulf seafood is prepared with a Creole flair, the attire is casual, yet an upscale waterfront dining experience is provided for the entire family. For more information call 850-837-0881 or visit Louisiana Lagniappe. 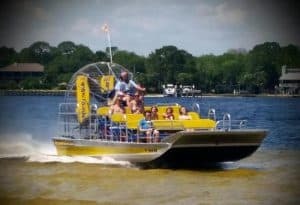 Enjoy unique eco cruises off the shores of beautiful Fort Walton Beach, Okaloosa Island, and Destin aboard the power Cattywampus catamaran. They offer some of the best sights and experiences with their catamaran cruise. Whether you are in Fort Walton Beach, Okaloosa Island, Destin or surrounding areas, the Cattywampus catamaran is the perfect vessel for an unforgettable experience. For more information call 850-586-0450 or visit Cattywampus Eco Tours. Fuddpuckers Watersports is the perfect place for riders of all levels and ages. Never attempted a water sport? Not to worry! 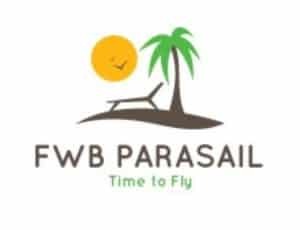 Their mission is to ensure that our customers have a fun day out on the boat, whether it is swimming, inner tubing, or just sun bathing. They are there to make sure that you have to great time out on the water. 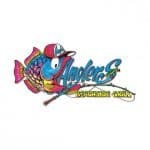 For more information call 850-424-7625 or visit Fuddpuckers Watersports. This property is a 4-minute walk from the beach. Located on South Padre Island, this beachfront resort overlooks the Gulf of Mexico. Guests can enjoy on-site dining at Windjammer’s Beachfront Cafe, which serves a variety of cuisines. Free Wi-Fi access is among the convenient amenities offered. A tennis court and a fitness center are available to guests who want to stay active during their stay. The Isla Grand Beach Resort also features an outdoor pool with a poolside bar and grill. Live entertainment and cocktails can be enjoyed at the Quarterdeck Lounge. Complimentary coffee is offered in the morning at the on-site cafe. For more information, pricing, or to reserve your room, visit Isla Grand Beach Resort. This property is 3 minutes walk from the beach. Located 1.2 miles from the Gulf of Mexico beach, this resort on South Padre Island boasts a water park and on-site dining options. Free private parking is available. The outdoor waterpark has floating rivers, water coasters and a surfing ride. Shrimp Haus restaurant offers ocean views and casual dining at Schlitterbahn Beach Resort. Seaside Grill serves breakfast, lunch and dinner. Sea 4 Ever Rooftop Bar & Grill features tapas, cocktails and signature sangria. For more information, pricing, or to reserve your room, visit Schlitterbahn Beach Resort. This property is 2 minutes walk from the beach. The Pearl South Padre is located in South Padre Island, 0.4 miles from Schlitterbahn Beach Water park and 0.4 miles from South Padre Island Convention Center. Guests can enjoy the on-site restaurant. For more information, pricing, or to reserve your room, visit The Pearl South Padre. Nested on South Padre Island, Texas, along the Gulf of Mexico, this beachfront hotel offers convenient services such as free high-speed internet access as well as free parking. La Quinta Inn & Suites is a pet-friendly hotel with an outdoor swimming pool and whirlpool tub. Guests can work out in the fitness center or take advantage of the convenient laundry facilities. For lunch and dinner, guests can visit the hotel’s Beach Bar and Grill. For more information, pricing, or to reserve your room, visit La Quinta Inn & Suites South Padre Island. Located on the beach of South Padre Island, this hotel is 3.1 miles from Port Isabel, Texas. It features a fitness centre, business centre and free WiFi. La Copa Inn Beach Hotel also offers a hot continental breakfast with omelette station. The air-conditioned guest rooms at La Copa Inn Beach Hotel are furnished with a microwave and a refrigerator. A flat-screen cable TV and a private bathroom with a hairdryer are also provided. An outdoor pool and hot tub are available to guests at this South Padre Island hotel. For more information, pricing, or to reserve your room, visit La Copa Inn Beach Hotel. I have never actually stayed on Okaloosa Island but my wife and I come to Destin two times a year absolutely love it. Destin is wonderful, and I think that you would really love Okaloosa Island. Just more of the same beautiful beaches. Matter of fact you won’t find it any better than the pristine beaches of Okaloosa Island! Thanks for stopping by! LOVE LOVE LOVE OKALOOSA ISLAND! Florida! love the look of this place. I really want to travel to lots of places in the USA. What’s the humidity like here I heard its quite high? The sea and beach at Okaloosa Island looks beautiful, I think me and the misses could agree on this holiday. Yes, it is humid. The relative humidity typically ranges from 50% to 92% (very humid) over the course of the year. The air is driest around October 24, when it will drop below 63%. It is most humid around March 24, exceeding 89%. I am from Texas and we are less humid, but I don’t think it feels that humid along the Emerald Coast. 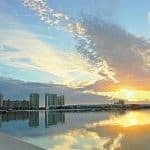 Yes, it is beautiful, you will love Okaloosa Island. Congratulation on the wonderful beach guide you’ve made! It really makes me dream of all these lovely places! I’v been several times in Italy but I’ve always visited cultural sites mainly. With your post on best beaches in Italy you gave me a totally new perspective of this country. Thank you for sharing! I’ve also got curious about the best time to buy a flight ticket set at 03:00pm on Tuesday. Does it refer to the airlines’ website’s airfares or the airfares in the global distribution systems? Hi there, I am glad you liked Beach Travel Destinations 🙂 The flight ticket price refers to how each airline price their tickets 🙂 which is generally cheaper at that time. Thank you so much Tyson and I am really glad you enjoyed reading 🙂 It’s a passion of mine for sure. And then of course, who doesn’t like to read about white sandy beaches? Fantastic place, thanks for sharing! I wold love to go there some day:) I have read about the Emerald Coast, just never imagined there was so much there. Have you been? Yes, I agree it is a pretty awesome place! And yes, I have driven all up and down the Emerald Coast. The beaches are amazing. Thanks for visiting! Another great place and a great beach to visit. Your article proves that really in USA there are some beautiful beaches. The Gulfarium Marine Adventure Park brought my attention. It looks fantastic and I love adventure parks and waterparks. A question- how about the taxes for the beach stay and the umbrellas? Is it expensive? No, the whole area is very inexpensive. I am comparing it of course to say California, which is much, much more expensive. There are no taxes in Florida. Is that what you mean? You can rent a cabana, with lounge chairs and umbrella top for about $20 for the whole day. But this is large and has usually at least two lounge chairs, and generally big enough for the entire family’s visit. Well informative and excellent write up. I have no doubt that it is a popular vacation destination for many, especially during the summer months. 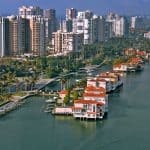 I’ve heard so much about the pristine and beautiful beaches of Florida and the Keys, and what I just read is another nearby destination for everyone to consider. I like the set up on the article as it gives an overall information for those reading it. As I try to develop my site I will be visiting this and other related sites to see what I can glean and apply to my own site. Thanks for an article well written. Thank you so much for your thoughtful comments. I am glad you enjoyed visiting Beach Travel Destinations! Great article, and an in-depth one that give a great overview of this particular destination. Evidently, this is a get away for many during the summer months. Yes, it can be a busy place. There are quite a few beaches along the Emerald Coast, and I really don’t find the beaches overcrowded. The traffic is kind of busy during peak times, but then that is because there is only one highway going thru the area. What a fantastic and in-depth review of Okaloosa Island Leahrae. 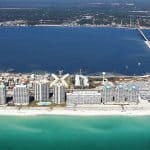 I live on the Costa del Sol and have spent the last 20 years in the travel industry and I have to say that you have really done your research and covered everything anyone would need to know if they were planning to visit Okaloosa Island. Thank you Alan, it is so good to hear. I feel like I have such a long ways to go as one post, takes entirely too much time! I am glad you enjoyed visiting Beach Travel Destinations. 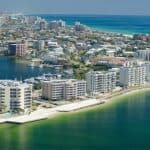 Wow, this looks amazing, never heard of Okaloosa before but after reading your post I know so much about it now, looks amazing, the temperature guide graph is a real help also and the bars and nightclub venues and restaurants look really superb, thanks for letting me know so much about Okaloosa! You are so welcome Ryan! Really, Okaloosa Island is so beautiful and runs along the front of the Emerald Coast. It is definitely worth while to take a drive down the whole coast and experience all the wonderful beaches and places along the way. Yay, you will love it. I was there last summer, drove and stayed all along the Emerald Coast (you can do it in one day 🙂 If you go, check out Watercolors, it’s amazing and so is the beach! Another great review!!! Yes this place looks like a lot of fun for all!! That Eco trip looks intriguing to me. Great work!! I love your article and can tell you have put a lot of research into it. Overall, I think you have a nice, clean webpage, with lots of useful information. You have beautiful pictures in just the right places. Its easy to read and very comprehensive. I enjoyed this post! 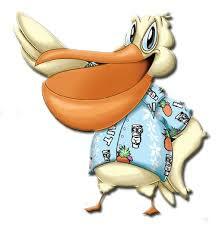 Thank you Lureita for reading about Okaloosa Island Travel. The Emerald Coast is a beautiful place to visit. I love your article and can tell you have put a lot of research into it. Overall, I think you have a nice, clean webpage, with lot’s of useful information. You have beautiful pictures in just the right places. It’s easy to read and very comprehensive. Great job! My name is Matthew and I am from Kansas. This is a wonderful site. Well put together. You have all your bases covered. You definitely done your homework. Plan to visit here one day!! Thank you Matthew! I am glad you enjoyed reading about Okaloosa Island travel. The Emerald Coast is very beautiful, and a place everyone should enjoy! Wow, you have done some extensive travel and research. It makes me want to go to all the places you mention! 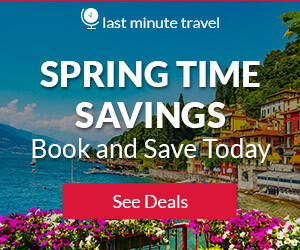 I love your comprehensive information on airfare, hotels, transfers, packages, etc. What’s your favorite beach in the United States to visit? Where do you suggest is the best place for a family to vacation? Happy trails to you! My favorite beach hands down is St. Pete Beach, Florida. It just has a laid back atmosphere, the beach is wonderful, the people friendly…just all around the best. You can go a lot of places for a family vacation. If your kids are small, I recommend staying in Orlando and visiting the different Disney resorts. The beaches on either coast are just an hour away. So you can have the best of both worlds. If they are small children, I recommend the west coast of Florida as the water is warmer and much calmer.